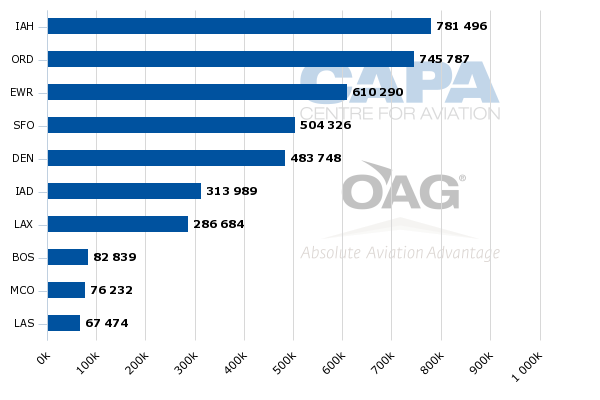 United’s decision to drop its premium transcontinental service from New York JFK to Los Angeles and San Francisco reflects a significant shift in the product proposition in those markets during the last few years, and more broadly, is a reflection of a trend spurred by consolidation of the large US airlines leveraging strength at their largest hubs. In this case, United aims to capitalise its dominance at Newark rather than flight a losing battle at an airport where it has little concentration. 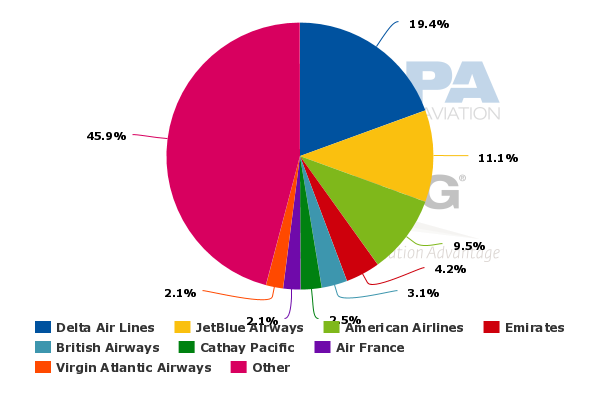 All the airlines in the New York transcontinental market with the exception of Virgin America have overhauled their product offering to cater to the important business passenger base on those routes. JetBlue has arguably been a market disruptor, both through its high quality Mint premium offering and its added capacity on those routes. The shift is underpinned by a proposed slot swap between United and Delta at JFK and Newark, which is subject to regulatory approval by a government that could view the swap negatively, and insist that other airlines should gain slots to preserve competition. United was a pioneer in the creation of a premium service in the New York transcontinental markets debuting its “p.s.” flights in 2004 with a first and business class cabin. The product evolved and in 2011 it began installing flatbed seats on the Boeing 757s used for p.s. service. During the last couple of years the product competition in the New York transcontinental markets has intensified. American operates specially configured Airbus A321s on New York transcons to Los Angeles and San Francisco in a three class configuration, and is the only airline with a dedicated first class on those flights. Delta also offers a premium flatbed product on its transcontinental flights from JFK to Los Angeles, San Francisco and Seattle. Another major shift in the market occurred in 2014 with the debut of JetBlue’s Mint premium product on 11 Airbus A321s that feature 16 flatbed seats, four of which are closed off private suites. It was move by JetBlue to capture lost revenue due to its lack of premium offering. Generally, Mint is priced below its competitors, and the lower prices and the capacity JetBlue has introduced on those routes has made competition tough. After United outlined its plans to move its JFK p.s. flights to Newark in Oct-2015, JetBlue stated it plans to increase its daily Mint flights to San Francisco from four to six in Oct-2015, and offer 10 daily flights between JFK and Los Angeles by Feb-2016 when it takes delivery of an additional Mint aircraft. 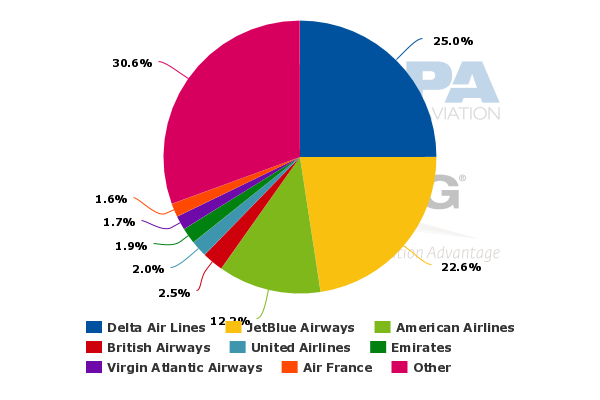 Before the latest expansion in Feb-2015 Virgin America estimated that JetBlue accounted for 17% of the premium seats in the JFK-Los Angeles market, and that fares had dropped 30% to 40%. Virgin America also operates flights from JFK to both Los Angeles and San Francisco. American also operates 10 daily flights with its A321 transcontinental aircraft from JFK to Los Angeles and four between JFK and San Francisco. Delta has eight daily flights from JFK to Los Angeles and six to San Francisco. United offers seven daily flights between JFK and Los Angeles and eight to San Francisco. United has claimed its p.s. service from JFK has been unprofitable for years, and it appears that Mint was the driver for the airline to transition that service from JFK to Newark. United has no leverage at JFK, which means it does not have an ability to market connections at the airport. Even though Los Angeles and San Francisco are largely O&D markets from JFK, having network utility represents some benefit. Delta and United have agreed to a slot swap in which Delta will obtain JFK slots from United and United will gain Delta’s slots at Newark. Delta aims to use the slots to bolster its presence in the Los Angeles and San Francisco markets. Along with moving the p.s. service to Newark, United is expanding the p.s. offering on all flights from Newark to Los Angeles and JFK, reconfiguring some 757-200s used on trans-Atlantic flights in the p.s. configuration. United also plans to bolster its frequencies, operating up to 15 daily between Newark and Los Angeles and 17 daily flights to San Francisco. The hub to hub service between Newark and San Francisco should solidify United’s position on the route while serving Los Angeles from its Newark stronghold should produce more favourable results than LA-JFK. A battle is brewing between American and Delta in Los Angeles, so United should gain some traction by operating the p.s. flights to Newark. 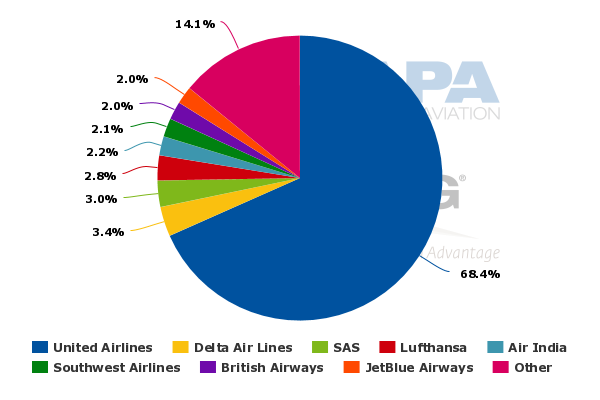 The airport is United’s largest hub measured by ASMs and third largest by seats, and United controls roughly 68% of seats and ASMs at Newark. United is also trading in poor performing O&D markets for the possibility of bolstering connections through Newark, and is working to create a more seamless product experience for those connecting passengers. United’s only competitor on flights from Newark to Los Angeles and San Francisco is Virgin America, which will face added pressure once United deploys its premium service on those routes. Virgin America is the only airline in the transcontinental market that has not opted to reconfigure its aircraft with lie-flat seats. The added capacity by United, coupled with a better product, adds to Virgin America’s challenges in the overall New York metro market. 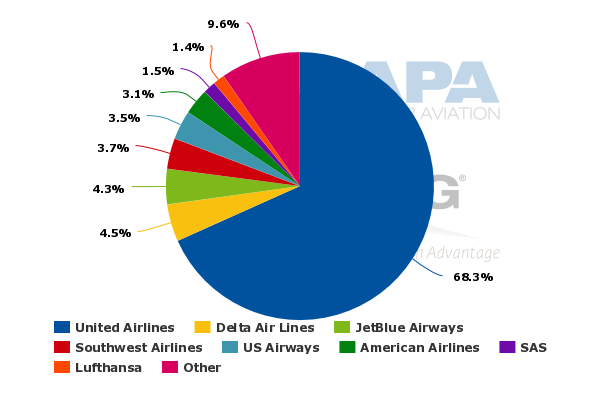 United already holds an 85% seat share in the Newark-San Francisco market and an 83% share on the Newark-Los Angeles pairing. One wild card in United’s consolidation of its p.s. service in Newark is if it and Delta will gain the requisite approval from the US government for the slot swap transaction they have proposed. Although the US Airways-Delta slot swap at Washington National and New York LaGuardia airports was greater in size, it took nearly two years before it was approved with stipulations that the airline relinquish some slots at each airport to airlines with limited or no service. 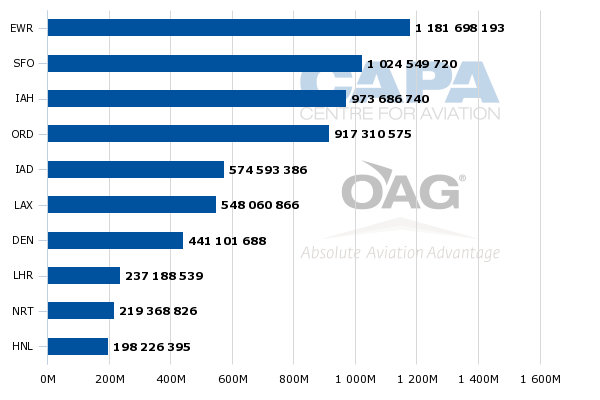 The government may do the same in this case to show it is fostering competition in a even more consolidated environment where four airlines (combining US Airways and American) control 81% of the domestic ASMs. The moves by United and Delta show that there are a fewer smaller deals to be made in the post consolidated environment. Delta has been building up a dual-hub strategy in New York since 2012 when it secured 132 slot pairs at LaGuardia from US Airways. Its goal was to cater to business passengers that preferred the close in airport and leveraging JFK for connections. But with the perimeter rule in place at LaGuardia that prohibits flights longer than 1,500 miles, it has to serve the lucrative transcontinental market from JFK, and bolstering its presence with additional slots that United wants to relinquish is a quick way accomplish that task. With the merger of Untied and Continental, Newark plays a significant role in the combined airline’s network, serving as a major gateway to Europe and as a hub for US east coast traffic flows. Perhaps the p.s. flights at JFK would have been transferred at some point, but JetBlue’s market disruption has accelerated that process. United’s moves in the New York market may look as if it is ceding some key transcontinental routes to its competitors. But the reality is the dynamics have changed significantly on those routes during the last couple of years and moving the flights where they have the potential to turn a profit is the right decision. The transcontinental markets are among the most competitive in the US market place, with no clear winner emerging in the race. So far the consumer has been the winner, a relative rarity in today's domestic market.